We are proud to offer indoor soccer for boys and girls from 4 to 18 years of age (birth years 2014 to 2000). Our goal is to expand the enjoyment of soccer in Whitby and the surrounding community. Participation in this program will assist children in developing positive 'self esteem'; promote a healthy attitude towards physical activity as well as developing basic physical literacy and ball skills. 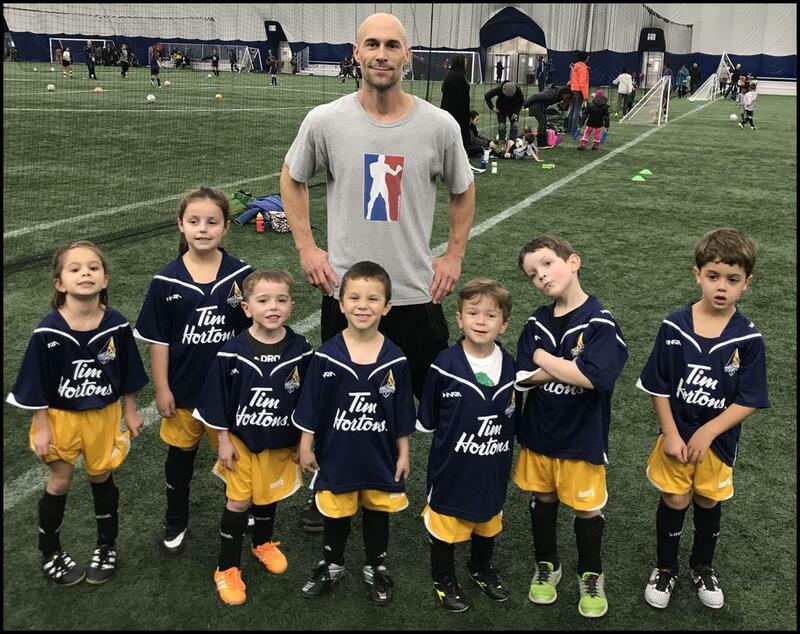 For U3's ONLY - Fall session will run from October 13 to December 15, 2018. The Winter session (2015 born) will run from January 5 to March 16, 2019. No session on March 9. Times are tentative based on registrations. The emphasis is on lots of touches, dribbling, passing, shooting. Small-sided games are in a 4v4 format. Players should play a fair amount of time in each position by rotating through each "position" on the field. Sessions include a 20 minute warm-up followed by a 4v4 small-sided game which is 2 x 15 minute halves (with a five minute break) against the team you are scheduled to share the field. Similar to the U6 program, the emphasis continues to be on lots of touches, dribbling, passing, shooting. Small-sided games are in a 5v5 format. Players should play a fair amount of time in each position by rotating through each "position" on the field. Sessions include a 10 minute warm-up followed by a 5v5 small-sided game including a goalkeeper which is 2 x 20 minute halves (with a five minute break) against the team you are scheduled to share the field. What's the time Mrs. Wolf? All of the U8 games scheduled for this evening - Tuesday December 4, 2018 have been postponed. We apologize for any inconvenience, however, there is an issue with the heating in the small (original) dome. We are working as quickly as possible to rectify the situation. All of the games will be rescheduled.